While PT Distinction already has a PARQ, Consultation Form, Informed Consent Form, Medical Analysis Form, and a Lifestyle Questionnaire there is also the functionality to build your own custom forms which clients can fill in and sign online. In this video we show how you set up your own custom forms inside PT Distinction. Header - this is where you can put a title. Paragraph - this allows you to write a paragraph. this might be where you introduce your form, or just make a statement that you want clients to see. Text field - allows you to write a question, and your clients can write the answer. The text field gives quite a small space for clients to write, so if you want to limit the space your clients can write, text field is the way forward. Text area - very similar to a text field, but it gives your client a lot more space to write. They can write as much as they like so for any questions with a potentially long answer, set it with a text area. 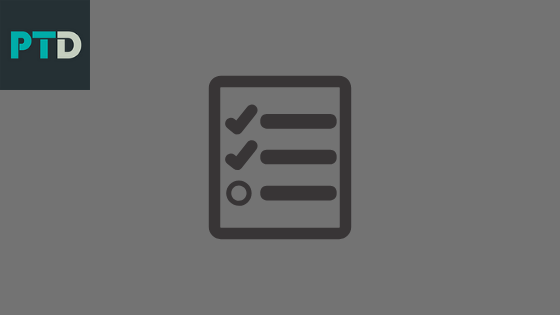 Checkbox - allows you to set up a tick option, a checkbox has one option to tick. Checkbox Group - allows you to have multiple tick options. Clients are able to select as many of the options as they wish to. Date field - lets your client select a date. Good examples of when to use this might be getting a date of birth, or simply asking clients the date they are filling out the form. Number - if you want to ask a question with a numerical answer this is the option to choose. You can set a minimum and maximum number if you wish to, your client will then be able to select a number from the options you've made available. This can be particularly useful when asking questions referring to a number of days in a week, month etc.. a client does something. Radio Group - is much like a checkbox group, except your client can only choose one option whereas using a checkbox group clients can choose multiple options. Select - is very similar in its usability to a radio group, but it looks slightly different. Select has a dropdown menu where clients can choose the option they want. Again, they can choose one option. That's the tools you've got in the custom form builder, with these you can build very complete custom forms for your clients. When you've finished building a form click on save, and your done. Then you can use it with any of your clients or groups in seconds. Just one more reason PT Distinction is the highest rated personal trainer software across Capterra, Get App and Trustpilot.